Here are two unique Victorian trade cards advertising Atmore’s Mince Meat and Genuine English Plum Pudding. Click on images to enlarge. 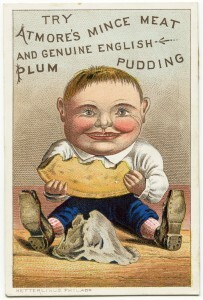 What fun, the English plum pudding. Thank u.
You’re welcome Diana. 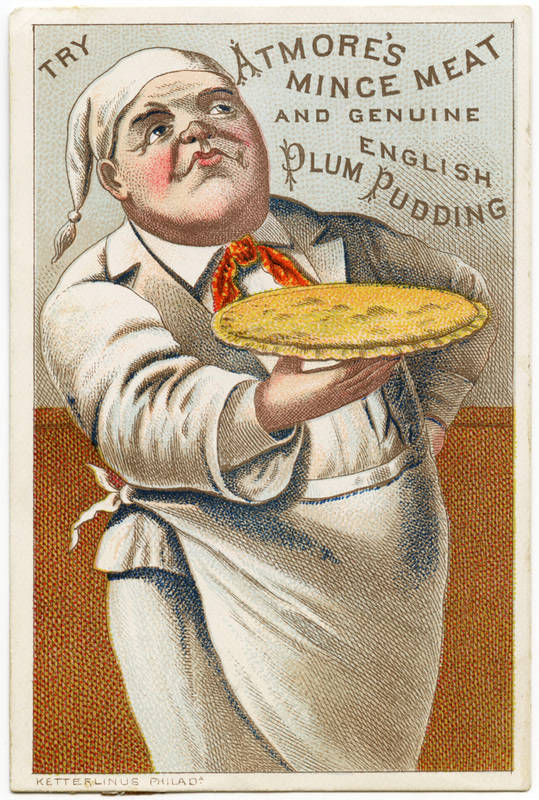 I’m happy to know that you enjoy the English plum pudding images. Thanks for shearing so beautifull images.